Sometimes, all you need is a simple game to play on your mobile device when all the intense mobile titles are getting too much for you. 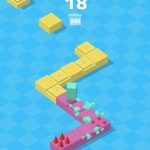 If you’re looking for such games, you need not look much further than Ketchapp, a company that’s arguably stood out as the top super-casual game maker on both Android and iOS. 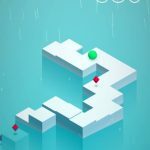 The company’s latest game is called Trio, and a look at the short, succinct, yet snappy game description tells you everything you need to know about how to play it – you just have to tap to change your character’s shape and slip through the obstacles. You can also unlock heroes and discover the coolest set of figures, which means you’ll have multiple characters to choose from once you earn enough coins to unlock them. Does this game have any important goal that you have to keep in mind? Since this is an endless casual game, the main things you would want to achieve are beating your own high score time and again, and collecting all of the game’s characters. We’ve got everything you need to know about this game, so check out our all-new Trio tips, tricks and cheats. First of all, you want to have a good enough memory if you want to succeed in this game. That means memorizing the order in which your character shifts its shape. For example, you’ll start out as a sphere, and tapping once will transform you into a triangle. You will then turn into a tall and thin rectangle once you make your next tap. Sphere-triangle-tall rectangle – sounds easy, right? 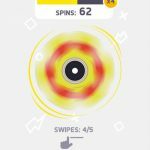 It will get harder as you make more shape-shifts and your score goes up, so be alert and remember those patterns; the game will also get faster as you increase your score! Aside from the shapes your character shifts to, you should also try to remember the colors of the gates, and the shapes they are based on. This would require you to associate a shape with a color, and that could help you react faster, especially when the game’s pace becomes harder to keep up with. For example, you want to associate “triangle” with “blue” when it comes to the gates’ shapes and colors; as you associate more shapes with colors, you’ll be able to make your taps faster, and not have to look too often at the gate to remember where you are and what could come next. Every few hours or so, you will be given a free gift, which contains coins inside; you may want to turn on your phone’s notifications so that you’re updated when the next gift is available to claim. You can also watch ad videos in order to earn free coins; this option would appear after your run has ended, so go ahead and watch those 30-second (or less) videos after you’ve gotten killed, and you’ll earn a decent, if not overwhelming amount of coins. Additionally, you can earn coins while naturally playing the game. The coin rewards from playing aren’t that significant but they can add up as you keep on playing and replaying Trio. This seems to be a feature across all Ketchapp games – you can collect new characters, or “heroes” as Ketchapp calls them, for 100 coins each. Still, the only difference separating them from each other is their appearance. They can break the monotony and add a collection element to the game, but since this is a Ketchapp title, don’t expect any special skills or power-ups to come with the new characters. That’s all for now, as far as our Trio tips, tricks and cheats are concerned. 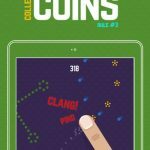 Do you know more tips to improve your high score in the game? If you do, leave us a message in the comment section below! Also, if you want to check out our collection of tips and tricks, that we’ve written for other Ketchapp mobile games, then check out this link!